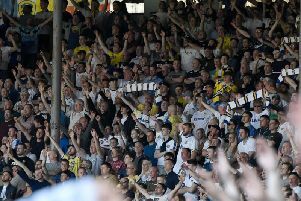 “As long as the maths say something then we’ll be following them,” Marcelo Bielsa said but the little things gave it away. 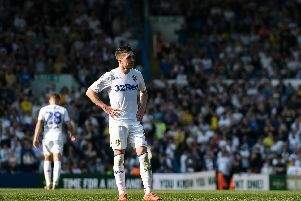 Pablo Hernandez has been compensated for his omission from the EFL’s team of the year with one of three places for Leeds United players in the Professional Footballers Association’s Championship line-up. 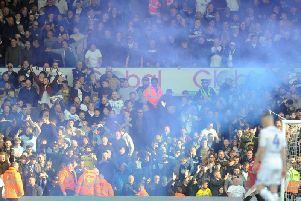 The Football Association has asked Leeds United for further observations after the second incident of missile-throwing at Elland Road in a month. 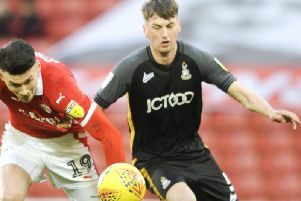 Bradford City manager Gary Bowyer plans to target Leeds United defender Paudie O’Connor on loan again next season as he attempts to conjure a promotion campaign in League Two. This to date has been the year of the underdog in the Championship and Marcelo Bielsa’s defence of his players at Brentford on Monday – “this team has hidden many limits with huge effort and personality” – applied as much to the squads at Norwich City and Sheffield United as it did his own. 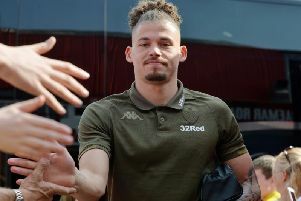 Marcelo Bielsa defended his decision to drop Kalvin Phillips for Leeds United’s Easter Monday game at Brentford after a 2-0 loss left the club staring at the play-offs. 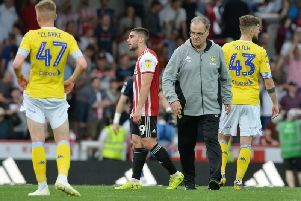 Gjanni Alioski’s involvement in a potential play-off bid is in doubt after the defender limped from the pitch in the early stages of Leeds United’s defeat to Brentford. The thought that this might be over, in the context of chasing automatic promotion, was setting in before a ball was kicked at Brentford. 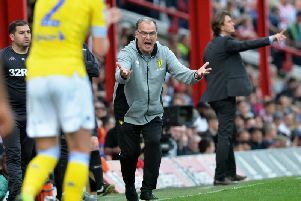 Leeds United saw their automatic promotion hopes take a major blow on Easter Monday with a 2-0 defeat to Brentford at Griffin Park. 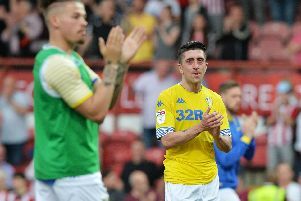 Marcelo Bielsa voiced sympathy for Pablo Hernandez and said the midfielder deserved automatic promotion more than any other player in Leeds United’s squad after a pivotal loss at Brentford. 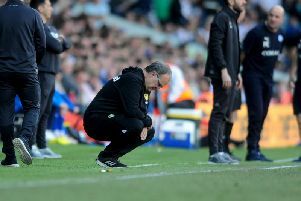 A downbeat Marcelo Bielsa conceded that Leeds United’s automatic promotion bid was hanging by a thread after back-to-back defeats over the Easter weekend wrecked their chances of a top-two finish. 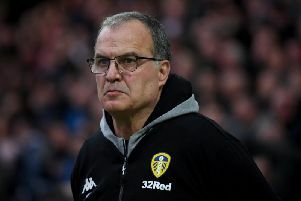 They will call Good Friday’s game against Wigan Athletic the very definition of Leeds United: defeat to a team who last won away from home in August, amassed seven points on the road before visiting Elland Road and were in deep trouble in the Championship. 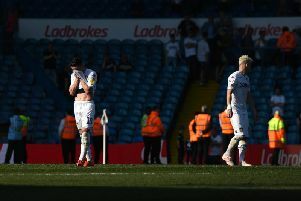 Results of a certain nature yesterday would have given Leeds United the chance of promotion on Easter Monday but by the time the dust settled on Good Friday they were asking themselves if promotion would materialise at all. 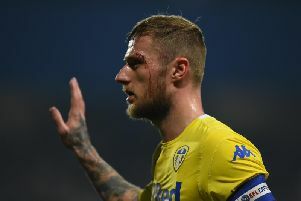 Leeds United captain Liam Cooper is set to miss Monday’s trip to Brentford with the muscle injury which has ruled him out of the club’s past two games. 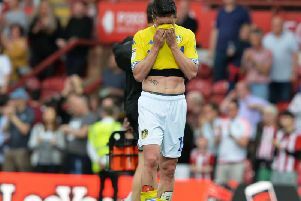 Leeds United are at risk face a fresh probe from the Football Association after objects were thrown at Wigan Athletic’s players during today’s game at Elland Road. 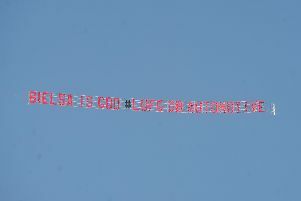 Leeds United fans took to the skies with a message of support for Marcelo Bielsa ahead of today’s clash with Wigan Athletic.